Thanks for the giveaway of such a beautiful bracelet. I am now following via Google. "Liked" the Catholic Etsy Artists Guild on Facebook! liked the catholic etsy artist's guild on facebook! http://www.etsy.com/listing/54804316/handmade-cloisonne-beaded-designer is my favorite item by gracefulrosaries. its so delicate! I just found your blog and became a follower. I left a commend in the Etsy treasury. 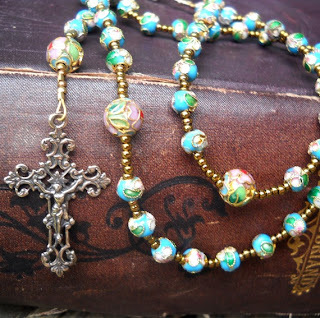 My favorite item is the rainbow jasper rosary bracelet with bronze medals. I am now following via google! I liked the catholic artist guild fb page! as an fyi it kept giving me an error like when I tried using the link and then after I clicked 'Like" it was saying "this page does not exist!" very mysterious! 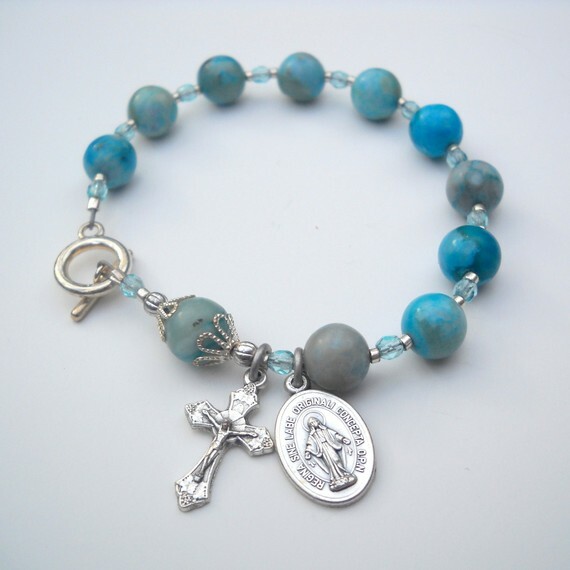 I love this bracelet especially, but I also like the 'Mustang Jasper Mans rosary' because it is often difficult to find gifts that suit men of faith and this one is perfect! My Husbands rosary broke I wanted to get him a new one for christmas ,he would absolutely love this rosary its so beautiful,I'd love to able to give this too him! I am a follower of the Catholic Etsy Artists Blog! My favorite on gracefulrosaries is the Purple Crazy Lace Agate Gemstone Rosary - Stainless Steel Wire and Bronze. It's beautiful! Gorgeous! I'm following through Google. It's beautiful & stunning & amazing! I'm a google follower thank you! I love the Saint Annie necklace. All the rosaries are so beautiful too. I like Catholic Etsy Artists Guild on FB. 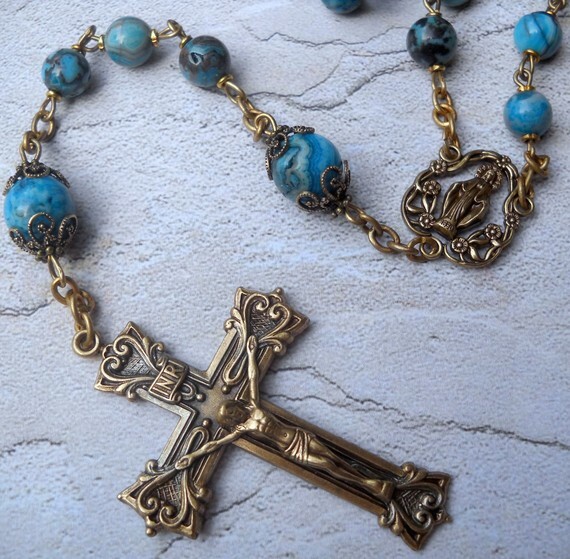 I love the Hand made 8mm Blue Sodalite Rosary with Bronze. It really is beautifully done. I am now following this blog. It is lovely. I liked catholic etsy artist on my facebook! The Rainbow Jasper Stainless Steel and Bronze Rosary is absolutely beautiful! I love the Purple Crazy Lace Agate Gemstone Rosary - Stainless Steel Wire and Bronze. 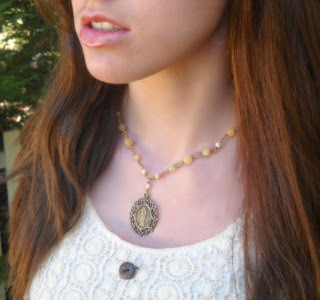 My favorite item is the Handmade Crystal and Sterling Silver Rosary. It is very similar to the rosary my grandmother gifted to my father.